The chips in most modern desktop computers have four "cores," or processing units, which can run different computational tasks in parallel. But the chips of the future could have dozens or even hundreds of cores, and taking advantage of all that parallelism is a stiff challenge. Researchers from MIT's Computer Science and Artificial Intelligence Laboratory have developed a new system that not only makes parallel programs run much more efficiently but also makes them easier to code. In tests on a set of benchmark algorithms that are standard in the field, the researchers' new system frequently enabled more than 10-fold speedups over existing systems that adopt the same parallelism strategy, with a maximum of 88-fold. For instance, algorithms for solving an important problem called max flow have proven very difficult to parallelize. After decades of research, the best parallel implementation of one common max-flow algorithm achieves only an eightfold speedup when it's run on 256 parallel processors. With the researchers' new system, the improvement is 322-fold—and the program required only one-third as much code. "In a conventional parallel program, you need to divide your work into tasks," says Daniel Sanchez, an assistant professor of electrical engineering and computer science at MIT and senior author on the new paper. "But because these tasks are operating on shared data, you need to introduce some synchronization to ensure that the data dependencies that these tasks have are respected. From the mid-90s to the late 2000s, there were multiple waves of research in what we call speculative architectures. What these systems do is execute these different chunks in parallel, and if they detect a conflict, they abort and roll back one of them." Constantly aborting computations before they complete would not be a very efficient parallelization strategy. But for many applications, aborted computations are rare enough that they end up squandering less time than the complicated checks and updates required to synchronize tasks in more conventional parallel schemes. Last year, Sanchez's group reported a system, called Swarm, that extended speculative parallelism to an important class of computational problems that involve searching data structures known as graphs. Research on speculative architectures, however, has often run aground on the problem of "atomicity." Like all parallel architectures, speculative architectures require the programmer to divide programs into tasks that can run simultaneously. But with speculative architectures, each such task is "atomic," meaning that it should seem to execute as a single whole. Typically, each atomic task is assigned to a separate processing unit, where it effectively runs in isolation. Atomic tasks are often fairly substantial. The task of booking an airline flight online, for instance, consists of many separate operations, but they have to be treated as an atomic unit. It wouldn't do, for instance, for the program to offer a plane seat to one customer and then offer it to another because the first customer hasn't finished paying yet. Fractal—which Sanchez developed together with MIT graduate students Suvinay Subramanian, Mark Jeffrey, Maleen Abeydeera, Hyun Ryong Lee, and Victor A. Ying, and with Joel Emer, a professor of the practice and senior distinguished research scientist at the chip manufacturer NVidia—solves both of these problems. The researchers, who are all with MIT's Department of Electrical Engineering and Computer Science, describe the system in a paper they presented this week at the International Symposium on Computer Architecture. The key to the system is a slight modification of a circuit already found in Swarm, the researchers' earlier speculative-execution system. Swarm was designed to enforce some notion of sequential order in parallel programs. Every task executed in Swarm receives a time stamp, and if two tasks attempt to access the same memory location, the one with the later time stamp is aborted and re-executed. Fractal, too assigns each atomic task its own time stamp. But if an atomic task has a parallelizable subroutine, the subroutine's time stamp includes that of the task that spawned it. And if the subroutine, in turn, has a parallelizable subroutine, the second subroutine's time stamp includes that of the first, and so on. 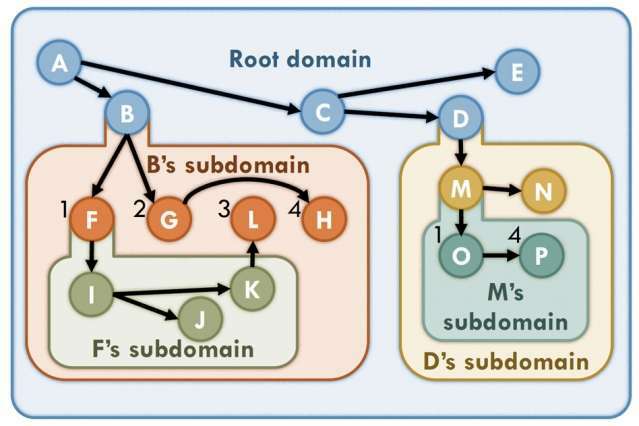 In this way, the ordering of the subroutines preserves the ordering of the atomic tasks. This is really neat but you would have thought such talent would have come up with some kind of original unique name. Even if it was a combination of words. Google the word(s) fractile, programing, cores, and etc. You won't find it because the word fractal is so common. As I'm a computer programmer and as great as this system sounds you always have to fight the inertia of those people who don't want to learn something new even if it is easier. you always have to fight the inertia of those people who don't want to learn something new even if it is easier. These heuristics will become integrated into compilers and libraries as they're tweaked by feedback from real world applications. Humans will continue to be used for the high level translation of human problems across whatever moving boundary to machine execution, while the tools match the inner complexity. For most applications anyway. Some specialized ones demanding high performance and rapid deployment, like superfast financial trading strategies and executions, or cutting edge machine vision or learning, will indeed need smart humans who've learned to use the first implementations. Theirs is the feedback that will tweak these tools for the rest of us. people who don't want to learn something new even if it is easier. I to am programer and most these kind of techniques, that optimize the code, are eventually built right into the programing languages compiler. Back in the late 70's there was a project I was involved with at Stanford called "ONCE: A Single Assignment Language". The basic idea was that the results of any computation were always assigned a unique memory location (data were never overwritten "in place"), and dependence on an upstream computation caused a program fragment to block until the location was written to by the upstream computation. It sounds very similar to the approach described here as "Fractal". I wonder if the research team involved is aware of ONCE? Wow, back then memory was small and at a premium. I am surprised at that approach. ... It sounds very similar to the approach described here as "Fractal". I wonder if the research team involved is aware of ONCE?